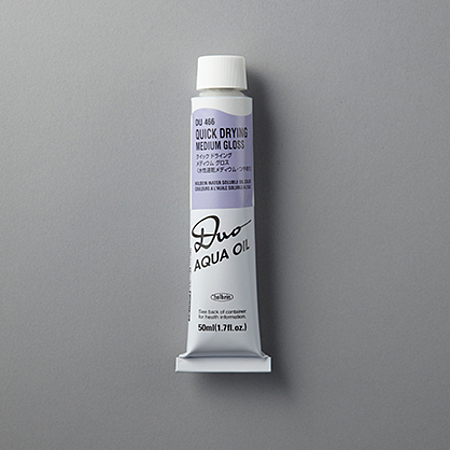 A fast-drying medium for watercolor paint. By mixing it with pigment paste or pigment, the transparency and gloss increases, and the surface dries faster. It maintains moderate gloss after it is dried.